HOUSTON, MARCH 30, 2017 – Return to the astounding world of the godfather of manga, Osamu Tezuka (Black Jack, The Mighty Atom, Phoenix), in Sentai Filmworks’ newest acquisition: ATOM THE BEGINNING. Based on the original work by Tetsuro Kasahara, ATOM THE BEGINNING is the dramatic prequel series to Tezuka’s iconic manga,The Mighty Atom. The series will air exclusively in the U.S. on Anime Strike, the curated on-demand anime subscription from Amazon Channels. After a great calamity in Japan, the world needed a hero: but did this hero need to be a god? Or a friend? Two young geniuses, Umataro Tenma and Hiroshi Ochanomizu, have labored extensively to create a powerful artificial intelligence to protect the future. The result of their collaboration was a robot, A106. In this previously untold story, Tenma and Ochanomizu lay the groundwork leading up to the birth of an android that would later change the world. Katsuyuki Motohiro (Psycho-Pass, Ajin) acted as Chief Director, with Tatsuo Sato (Bodacious Space Pirates, Lagrange – The Flower of Rin-ne) as Director. Animation production for the series was helmed by Production I.G (Haikyu! !, Kuroko’s Basketball, Joker Game). 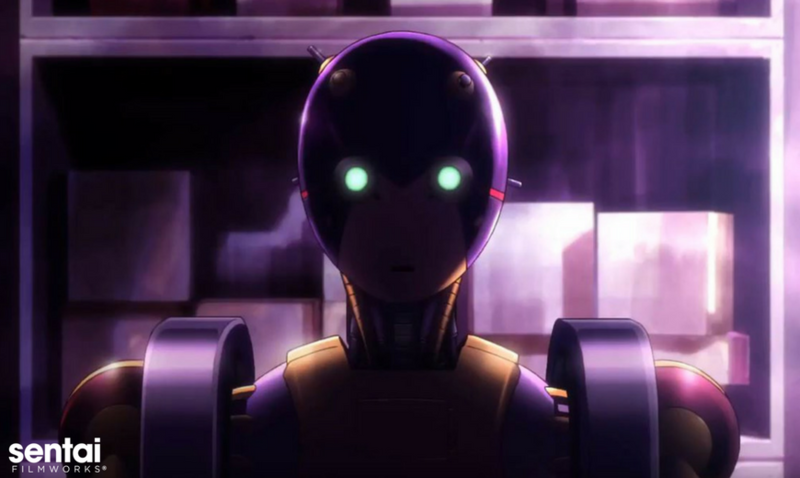 ATOM THE BEGINNING will soon be available to stream exclusively in the U.S. on Anime Strike, the curated on-demand anime subscription from Amazon Channels, with a home video release to follow. Anime Strike subscribers can stream new episodes every Saturday starting April 15. For Sentai Filmworks’ latest announcements regarding this and other great titles, be sure to like us on Facebook and follow us on Twitter. Sentai Filmworks is a leading global supplier of anime and official anime merchandise, distributing and curating one of the industry’s most diverse libraries of top trending and classic titles. Offering thousands of hours of content across both traditional and digital platforms, Sentai is dedicated to bringing captivating stories and iconic characters directly from Japan. With hit series that include Parasyte –the maxim–, No Game, No Life, Food Wars!, Is it Wrong to Try to Pick Up Girls in a Dungeon?, and Akame ga Kill!, Sentai’s catalog continues to grow with new favorites likeHimouto! Umaru-chan and Monster Musume: Everyday Life with Monster Girls, as well as classic anime series such as Legend of the Galactic Heroes. For more information, visit www.sentaifilmworks.com.